China: The end of an era? Note: This is the official english translation of the original spanish article “China, ¿el final de una era?” published in www.diarioabierto.es last 25th of August 2015. Something is happening in China. Stock markets all over the world have fallen 5% (S&P 500, 5.2%, FTSE 100, 5.5%, IBEX 5%, after first dropping 7%). These are losses that we have not seen since the financial crisis of 2008. The Shanghai Composite index took a dive of 8,5% in the worst trading session since February of 2007. Very briefly, the situation worldwide: the US economy seems to be reasonably solid; the EU has barely left behind the crisis in Spain, but is hoping that all the stars will align (oil prices, interest rates, wages, tourism and exports) and that it will not fall back into a hole; Brazil is bordering on a recession. WIth this outlook, and taking into account the fact that the US was considering a hike in interest rates, why is China so important? – China + USA represent more than one-third of the GDP worldwide. – China consumes 11% of the world’s oil, 57% of its copper and 66% of its iron reserves. It is clear that whatever happens in China is going to affect us, actually, it is already affecting us. What’s going on? The Chinese Government has spent aroun $200 billion repurchasing shares in less than two months. Chinese currency has been loosing value in a “controlled” way. According to informed sources, this is not entirely true, in fact the People’s Bank of China has spent in the last months another $200 billion trying to drive this process. This represents another $200 billion. That makes $400 billion or almost half of Spain’s GDP in two months. How much money does China have on hand? According to official data, China’s reserves in the month of July were close to $3,650 billion. Are things really under control? Sources in the sector tell us that they are not only not under control, but are even worse than when they began trying to control them. Political organization: President Xi Jinping has accumulated more power than anyone since Mao. His main political obsession is to not end up like the Soviet Communist Party. He is determined to purify the party and the purifications that he is carrying out undoubtedly affect the country’s political management. There are currently more departments of purification then ministries. Economy centralized control. China’s has always wanted to been to become a heavyweight on the world stage, with open relations and free exchange globally, but with centralized control over their economics internally. This is much like showing someone how to make an omelette without breaking an egg. Is it possible? How can the centralization of power, anticorruption policy, etc. be combined with the access of the working class to increased social protection, greater resources, and, definitively, a bigger role in the decision-making process? Employment: Officially it has been 4% for many years consecutively. This does not seem credible. The ILO (International Labor Organization) estimates that it is at 6.3% and rising. It should be noted that this percentage is not in and of itself (see Spanish data) the result of huge growth. Where will China go when the outlook for growth significantly worsens? How will they combine this with a model for economic expansion founded on a high level of debt? Debt: China has a lot of it and it is growing fast. But based on what? Obviously upon producing things that work, but also based upon a very aggressive pricing policy that captures greater market share. Many, above all in industrial and technological circles, doubt that prices adequately reflect the production costs incurred. 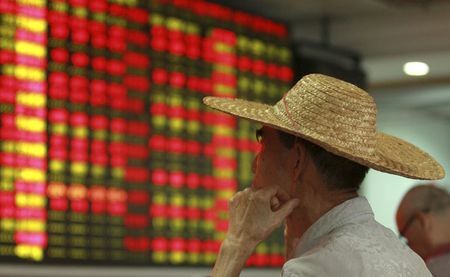 In many industrial and technological news forums, those who are paying attention, have warned us of Chinese sales policies based upon prices strongly backed by local financial entities and, in a second phase, by what is known in that world as “upfront credits”, in other words, credit that is provided to a client on the condition that the latter purchases the former’s products. How does this affect the Chinese model of production? Think about it. Who owns the Chinese companies? Who owns the Chinese banks that are the principal financiers of the Chinese companies’ operations? Isn’t it clear? This is partially reflected in the Chinese economy’s level of debt. According to Black Rock Investment Institute and McKinsey Global Institute, financial debt has more than doubled, going from 24% of GDP in 2007 to 65% in 2014. Moreover, according to Bloomberg, in June of 2015 the debt of companies and families in China was 207% of China’s GDP, almost twice what it was in 2008. Black Rock mentioned that a credit boom has only occurred four times in the last fifty years and that in each and every case a banking crisis had occurred within the following three years. A warning to navigators. I want to underline the following figures because there are other data that could make things seem better than they, in fact, are. For example, the fact that state debt only rose from 42% to 55% during this period. However, what is important is what a country owes, not who owes it (as we have already observed in Spain), and to an even greater extent if the country has an economy that is centrally controlled, as is the case of China. What should we expect now? I am not very optimistic and I hope I am wrong. For the moment, we will most likely forget about the increase in interest rates in the US. We must watch what China does closely. In my humble opinion, it is a time-bomb and a big one. If not deactivated or detonated in a controlled way, the initial impact for China and, subsequently, the world will be enormous. What we have seen in the markets may only be a small sign of what is to come. In addition to the customary volatility in markets with occasional recoveries, we must be on the alert to see which trend is going to take hold. The main factors to watch in China will be on the one hand, debt management and how it is being re-directed towards sustainable levels, and, on the other, its impact on the level of employment. If the percentage of unemployed reaches double digits, that would be lethal. In Europe, the unemployment rate hovers around 11.1%, but in countries like Germany (the main motor of the European economy) it is only 4,7%. In closing, we must not forget all those economies that depend substantially on the sale of raw materials. The largest exporters of iron are Australia, Brazil, India and Russia; of oil, Saudi Arabia, Russia, Norway, and Iran; and of copper, Chile, Peru, the US, Congo, Australia, and Russia. Have you seen these included in various raw material lists? Note: This is the official english translation of the original spanish article China, ¿el final de una era? published in www.diarioabierto.es last 25th of August 2015. Previous Post China: ¿El fin de una era?